At the time of his death in 1990, Jim Henson had already been, for several years, subtly and steadily moving his creative skills away from his better-known Muppet characters, and toward darker, more complex projects. It had been six years since the last Muppet feature film (The Muppets Take Manhattan in 1984), and while Henson was still producing Muppet Babies and Fraggle Rock for television, his interests clearly lay with the near-surreal anthology fantasy series The Storyteller and the much lesser-known The Jim Henson Hour. In 1989, Henson was in talks with Michael Eisner to sell off the Muppet franchise to Disney for $150 million, granting the company all rights to the characters (sans Sesame Street), but with Henson staying on as a creative consultant for the next 15 years. That deal fell through when Henson passed unexpectedly the following May. A moment of silence for the late, great Jim Henson. With Henson’s death, the future of The Muppets immediately looked uncertain. Henson’s son Brian took over the rights to the characters, new projects were swiftly put into motion, and questions immediately began to arise in the public consciousness as to whether or not the well-regarded Muppet magic would still be a fixture of the characters moving forward. Could the Muppets survive without their original creator? Would there even be a Muppets without their creator? This was a time of great uncertainty, and the Muppets would need to re-establish themselves if they wanted to continue. Enter The Muppet Christmas Carol (playing at the New Beverly on Thursday, December 21), a Muppet-infused adaptation of Charles Dickens’ very oft-adapted classic, and perhaps the franchise’s slickest production yet. 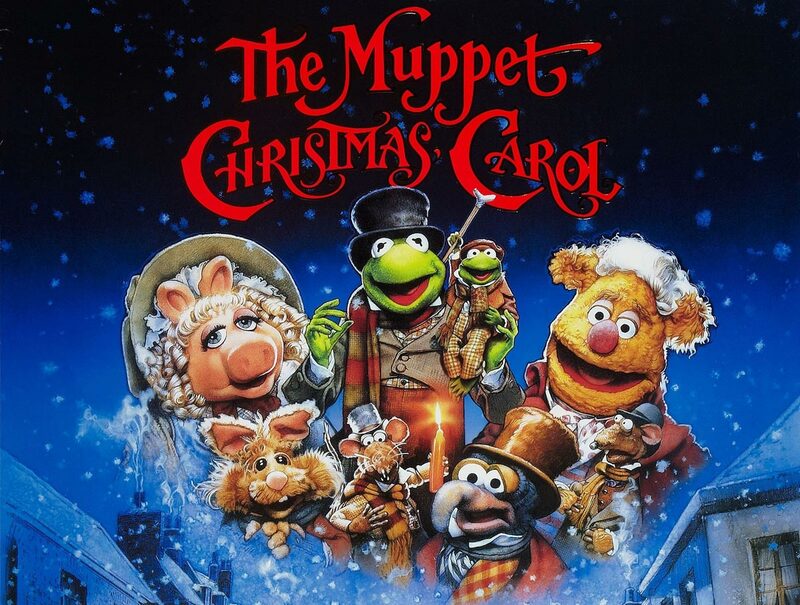 Making a Christmas film was a wise choice for the Muppets, as many audiences frequently associated the characters with the season, largely thanks to TV specials like 1979’s John Denver and the Muppets: Christmas Together, 1986’s The Christmas Toy, and 1987’s A Muppet Family Christmas. So they were, to employ an over-used marketing term, on brand. The Muppet Christmas Carol also introduced a tack for the Muppets that felt surprisingly natural, and that I personally wish they had continued with: To stick to literary adaptations exclusively. The Muppets had inserted themselves into high drama, soaps, and classic musical theater incessantly since the early days of The Muppet Show, and their light, wry, knowing literary satire was always one of their more appealing features and one of their more notable talents. 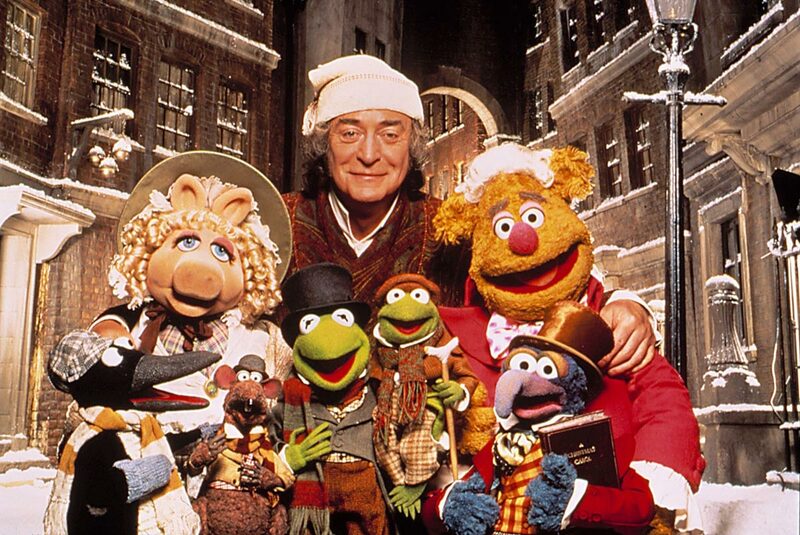 To tell the story of Ebenezer Scrooge with the aid of Muppets almost felt logical and inevitable. It was almost surprising that they hadn’t covered A Christmas Carol before. Maybe it was too obvious. Directed by Brian Henson, and scripted by longtime Muppet screenwriter Jerry Juhl, 1992’s The Muppet Christmas Carol captures everything you might want from a Christmas Carol movie. It’s a warm holiday classic. It’s a funny Muppet satire that sets expectations on ear (The Great Gonzo, for instance, plays Dickens himself). It’s a surprisingly faithful adaptation of Dickens. It has a wonderful Scrooge, played by Michael Caine. 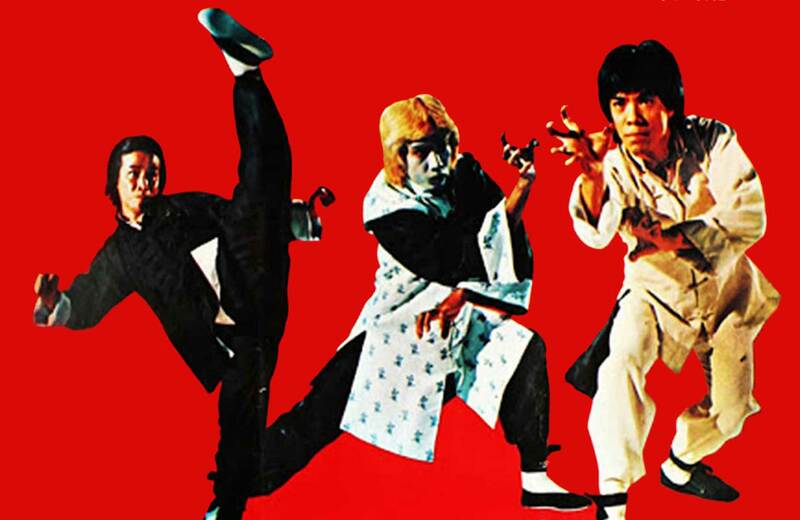 It’s funny when it needs to be funny, sentimental when it needs to be sentimental, scary when it needs to be scary, and joyous throughout. The only quality is could possibly be missing is the trademark element of chaotic shabbiness that so sharply defined the previous Muppet movies. I will not fault The Muppet Christmas Carol for its slickness, however. This was their most impressive production to date, featuring an enormous cast of background characters, Muppets in authentic period costumes, a good deal of special effects, and new Muppet characters in the places of the Ghosts of Christmas Past, Present and Future. Although previous Muppet film arguably may have been better, The Muppet Christmas Carol was the first to feel like a proper piece of A-list cinema; it was the first time when the Muppets felt like they were putting on a real show, and not just fooling around. Most of the film’s professional visuals could largely be ascribed to photographer John Fenner, who had previously worked on The Storyteller. Fenner knew that, even though he was shooting puppets, the film needed to look as cinematic as possible. Fenner also shot Teenage Mutant Ninja Turtles, a film that, despite being about, well, ninja turtles, looks and feels like a gritty crime film. If one were to remove the Muppets from The Muppet Christmas Carol, Fenner’s photography could easily serve a “straight” production of this tale. We can tell from frame one that this is a film to take seriously. That’s not to say The Muppet Christmas Carol is without its absurd humor. Scrooge, for instance, employs the New York rats from The Muppets Take Manhattan, and their wisecracking feels deliriously and enjoyably out of time. In one sublime moment, the rats complain to Scrooge that it’s far too cold to work in his office. Scrooge threatens to fire them all in response. The rats, in a smash edit, immediately appear in Hawaiian shirts and begin singing Harry Belafonte’s “Island in the Sun” to demonstrate how the cold has miraculously vanished. The Muppet Christmas Carol is peppered with many silly moments like this. We all know the story: Scrooge is a miser who has pinched pennies and berated people for most of his life, all in the endless quest for wealth. You know him. He is visited by the ghost of his dead associate Marley – here played by Waldorf and Statler and Jacob and Bob; Bob Marley, get it? – and is eventually visited by ghosts from the past, the present, and the future, to show Scrooge, in stark contrast, how awful he has been to the people in his life (Cratchit is played by Kermit the Frog). No spoilers in saying that this will eventually lead to a Christmas morning catharsis wherein Scrooge becomes a warm and cheerful human being. The Scrooge story is wisely played straight, with the Muppets – Gonzo in particular – running color commentary throughout, satirizing the tale and calling attention to its foibles and familiarity. The brilliance of The Muppet Christmas Carol is that it functions so well as both straight and silly. It’s a great Dickens adaptation, but it’s also a great tongue-in-cheek send-up of Dickens. A Christmas Carol is one of the most familiar of all stories in the English language, so putting a winking “spin” on it was perhaps appropriate (especially given the ethos of the 1990s, which skewed toward self awareness and pop deconstruction). By merely inserting Muppets into Scrooge’s story upsets the fabric of reality enough for audiences to get a mild – and complimentary – taste of satire. The Muppets would continue the trend of literary adaptation for two additional films. In 1996, they starred in Muppet Treasure Island (personally, my favorite of the Muppet films), and, in 2005, the straight-to-video The Muppets’ Wizard of Oz (which features a cameo from Quentin Tarantino, playing himself). Wizard of Oz could have been much better (it’s largely uninspired), but it still felt like a good idea. Imagine the possibilities. Muppet Midsummer Night’s Dream. Muppet Poirot. Muppet Dracula. Muppet Austen. Heck, Muppet Chekhov. The opportunities are endless. Disney had bought the Muppets (for half the original asking price) in 2004, and they too would struggle with the Muppet characters for several years before making the “return” 2011 feature film The Muppets, beloved by many. Its 2014 follow-up Muppets Most Wanted was only warmly received, and we once again face the question: What do we do? A Muppet Christmas Carol, though, has already given us the answer. Let’s get the Muppets back into the library, insert them into classic stories, and let them be the repertory players they were always meant to be. Until that happens, let’s enjoy one of the times they did it right.